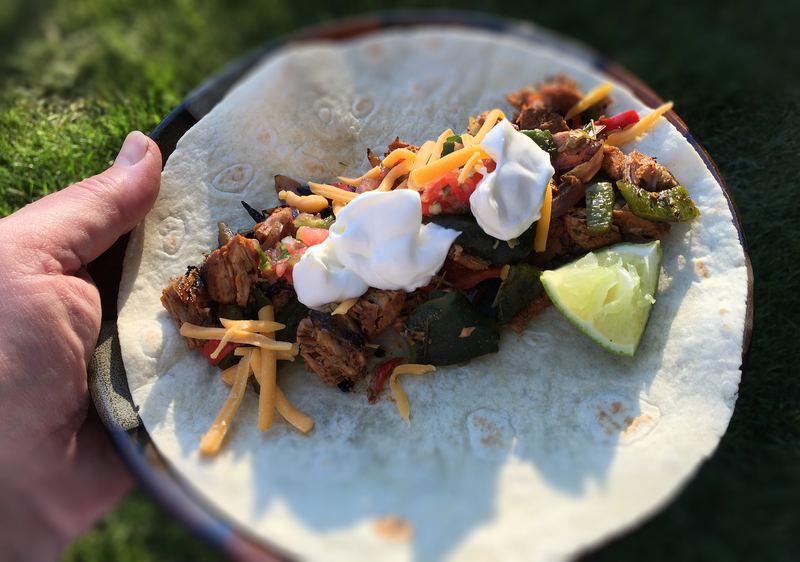 This is my signature southwest New Mexican-inspired dish with seasoned grilled pork that is slow-braised and then shredded, carnitas-style. 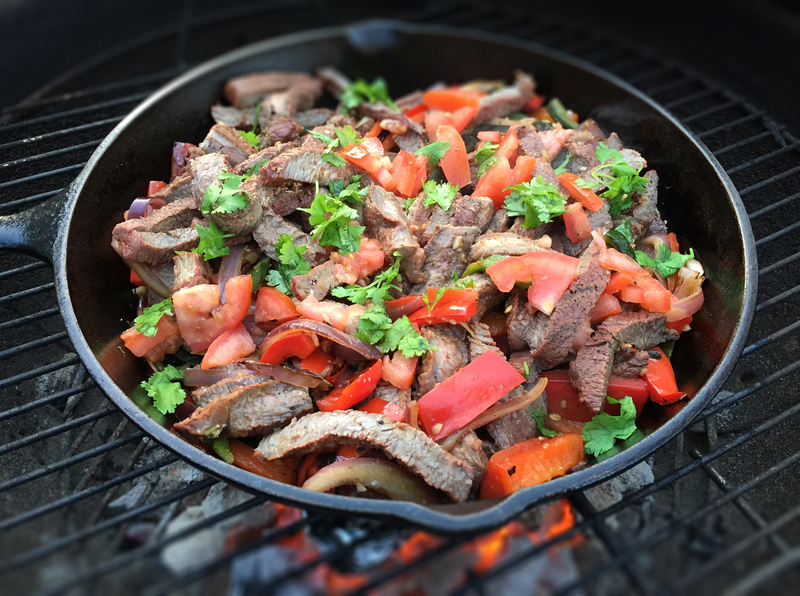 Note that the seasoning is very similar to my other Southwest recipes; the key ingredients invariably being pure New Mexican chili powder, Mexican oregano, toasted and ground cumin and coriander. 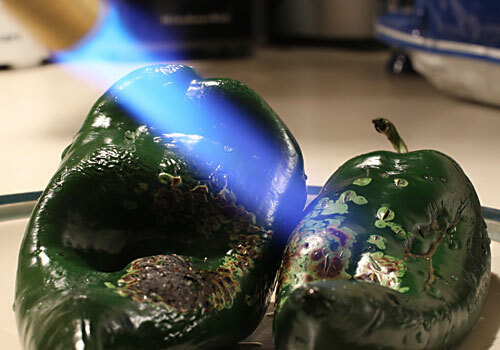 Serve with Rajas de Chile Poblano, a lime wedge, Mexican cheese and sour cream. Enjoy! Preheat oven to 300°-F. Cut and reserve the red onion and bell pepper. Measure the dry rub ingredients and mix well in a medium-sized shaker jar. Place the cubed pork in a large mixing bowl. Sprinkle generously with the rub. Stir to coat and add more to ensure all the cubed pork is evenly covered. Add the XV olive oil, lime juice and mashed garlic to a small mixing bowl. Whisk aggressively for two minutes. Add the liquid marinade to the cubed pork and stir gently to incorporate. Cover and chill for at least three hours. Prepare a lump charcoal fire in an outdoor kettle grill. 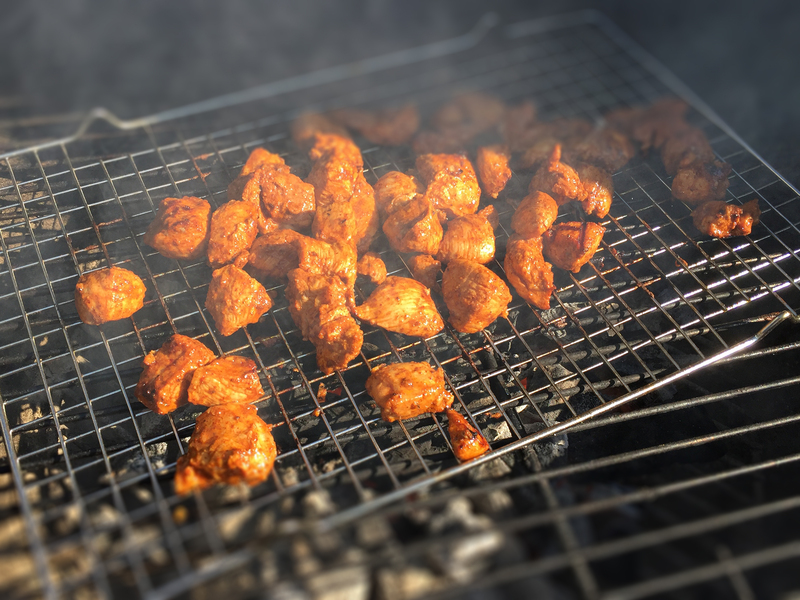 When the coals are white-hot, level and place a baking cooling rack over the outdoor grilling grate to ensure the pork doesn’t fall through the slats. Brush the rack with cooking spray prior, so the pork doesn’t stick. Add the pork, (cooking in two batches) to the rack and spread out evenly. Cook uncovered 2-4 minutes per side and then transfer to a 5-quart heavy cast-iron dutch oven. Add 1/2 cup chicken or pork stock. Cover. Place the dutch oven with the pork in the preheated oven and let sit. 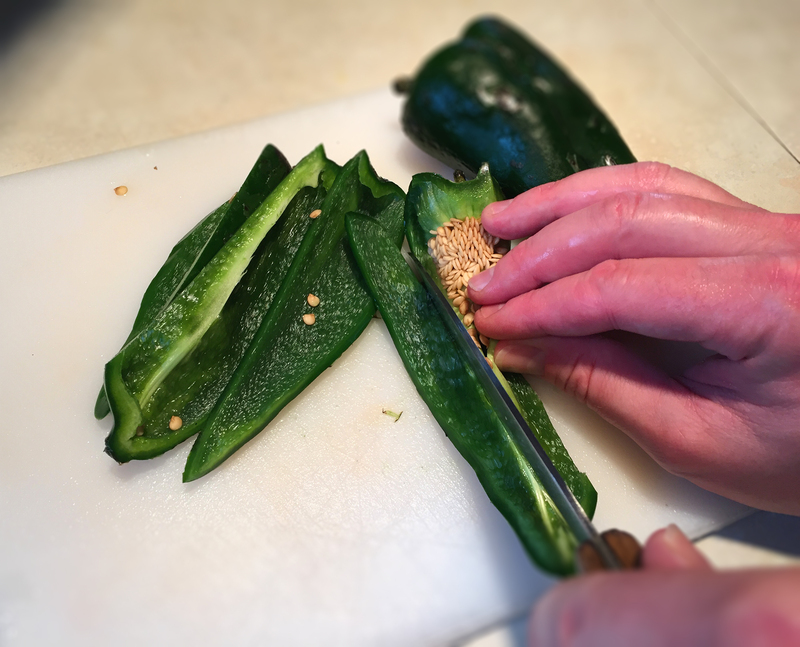 Next, place the two poblano peppers on the outdoor grill and char, about 4-6 minutes, until the tough outer skin blisters. Rotate occasionally. Remove, run under cold water to remove the skin. Core and slice into 1/4″ strips. Reserve, covered. Add the sliced red onion and bell pepper to the grilling basket. Place over direct heat on the grill and brush lightly with olive oil. Season with Kosher salt to taste. 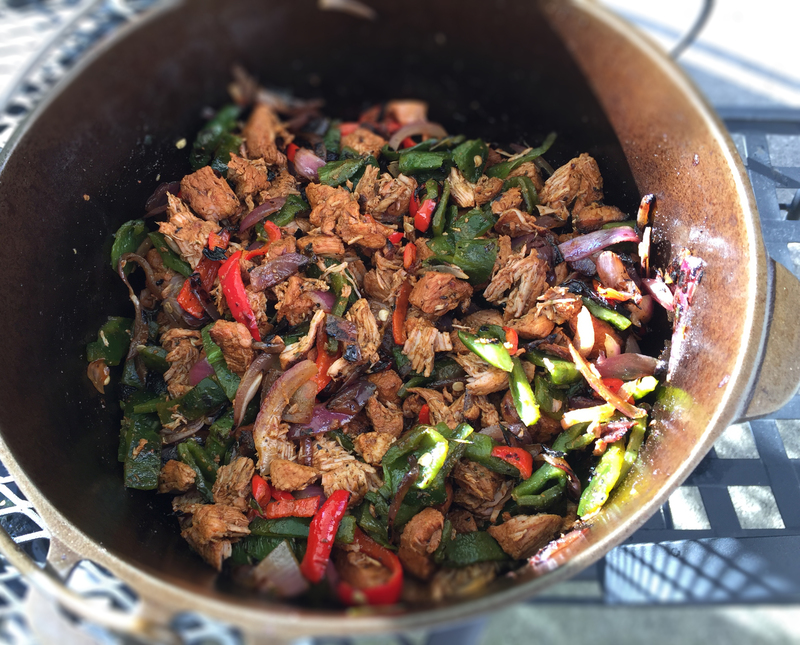 Stir occasionally and let char – about 6-10 minutes. Remove and set aside covered in the dish with the poblanos. Cook the pork covered in the oven for 1.5 to 2 hours, until tender. Remove and shred with two forks. Add the reserved sliced grilled poblano, red onion and bell pepper and stir to incorporate. 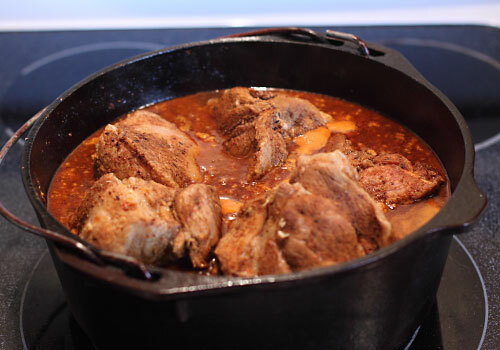 Set aside, covered in the hot dutch oven on the stove top until ready to serve. Serve on tortilla shells with sour cream, grated cotija cheese, cilantro, salsa, cherry tomatoes and a lime wedge. 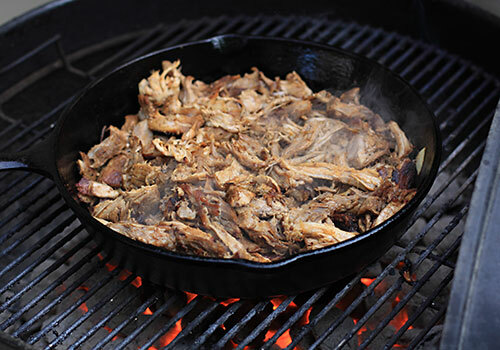 The Spanish definition of Carnitas is “little meats”. This is legendary, ubiquitous street food served from vendor carts all over Mexico and the American Southwest. I may be wrong, but I suspect that this cultural mainstay had a direct influence on the evolution of fajitas and possibly, in part, American pulled pork. 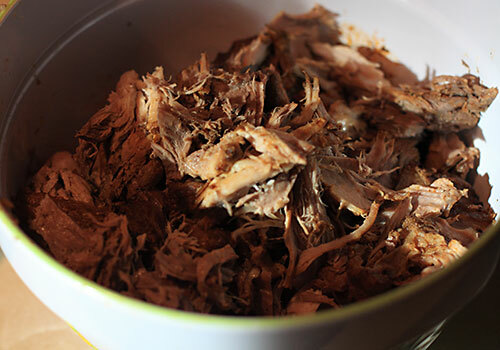 It is very similar to the Mayan cochinita pibil, from which it was undoubtedly inspired. 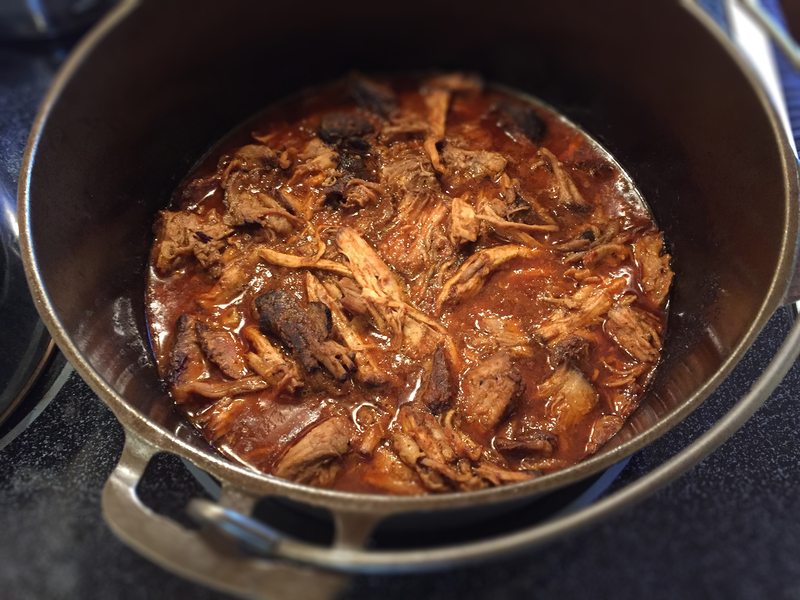 In this recipe the meat is braised in a pot, and the reduction process keeps it very moist. Traditionally, in central Mexico, it was prepared in lard. Yes lard. Here, lard is not needed because the meat renders in its own fat. Achieving a good char, or carmelization in the last step is essential. This is why I use cast-iron on a very hot outdoor charcoal grill. 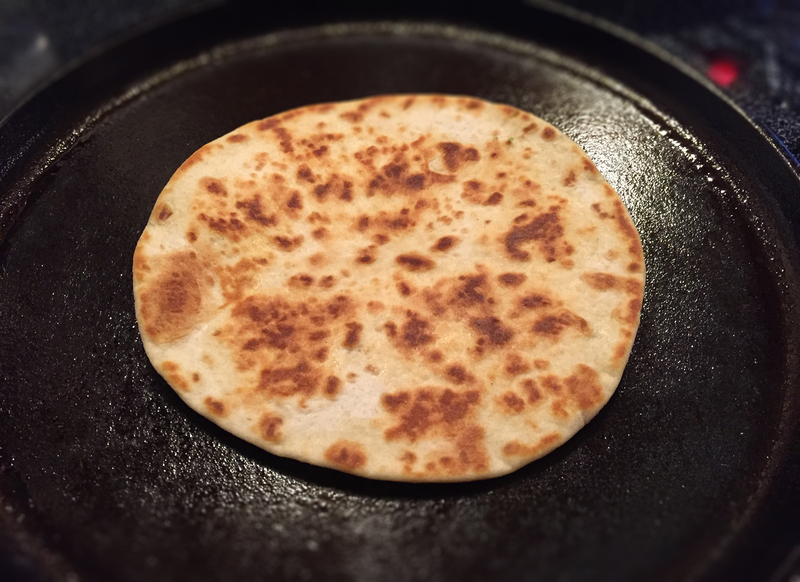 The best tortillas are made from scratch, and any Mexican vendor worth his street cred always makes them from scratch. 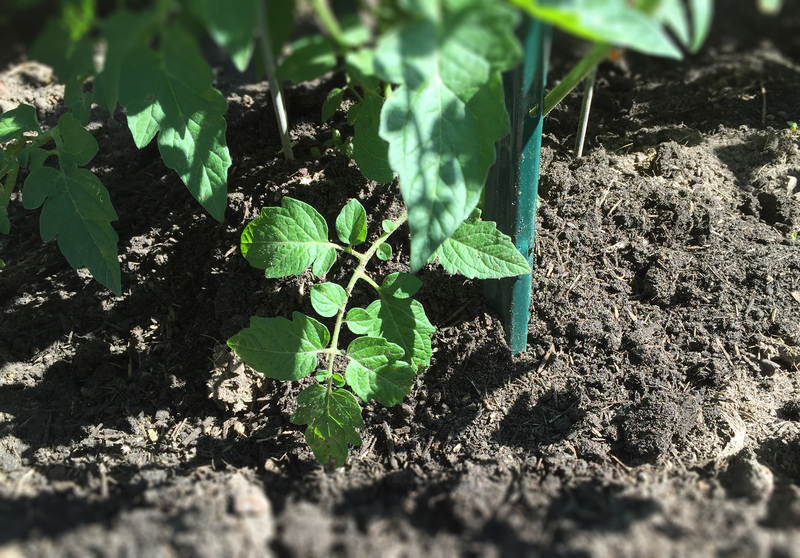 Your tomatillo salsa should be fairly spicy — a great contrast to the perfectly-seasoned pork. This recipe is even better the second day. Reheats well if not overcooked. Cut the roast into fist-sized pieces, then place in a heavy 5-quart cast-iron Dutch oven and coat with the dry spice ingredients, ensuring that all sides are evenly coated. Leave the bone in the roast. It will add incredible flavor. Add the crushed garlic and sliced onion* ensuring it is evenly distributed. Juice the orange and add the juice to the pot. Add enough cold water to cover the roast pieces, but do not submerge – the liquid and fat will render out and you don’t want too much water. Generally, the roast should be 3/4 covered. Add the bay leaves. Bring to a simmer and cook uncovered for about 2.25 to 2.5 hours, until the liquid has reduced and very little remains. Turn twice during this time. When tender, remove the pieces and pull apart into 2″ bite sized chunks. Trim away any excess fat and discard the bone and bay leaves. At this point you should have an outdoor charcoal grill preheated with enough coal for a medium-hot fire. Add the chunked pork to the skillet and spread out evenly. DO NOT TOUCH for two minutes, until a nice carmelized char has formed on one side. Using a wide spatula, carefully flip the pork over and repeat. Remove from the fire and immediately transfer to a warmed covered serving dish. 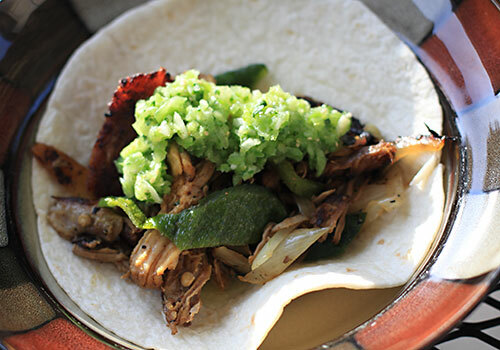 Serve in tortillas with Rajas de Chili Poblano, lime slices and hot Tomatillo Salsa Verde. Garnish with fresh cilantro.